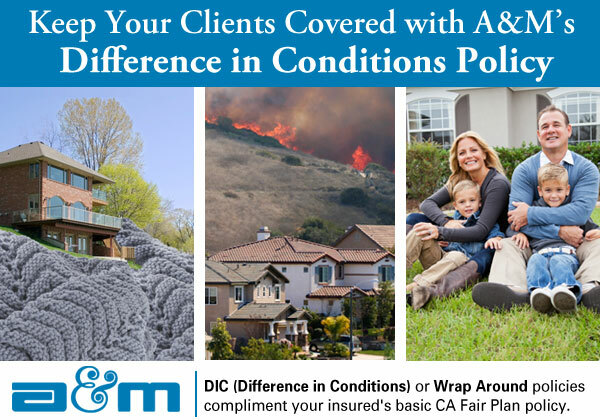 The DIC includes the perils not covered by the CA Fair Plan. The Wrap Around provides coverage for the difference between the actual cash value (ACV) and replacement cost coverage. Both are available with liability coverage. Some CA Fair Plan policyholders may still qualify for a full HO3 with our markets if there is 150 feet brush clearance on all sides of the property. For more information: personallines@amqts.com or (800) 234-6977 x260.